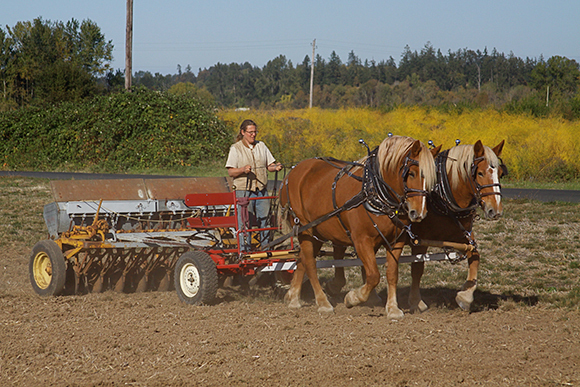 A team and a grain drill. Photo courtesy of Laura Masterson. Visit our Bookstore for the most extensive collection of draft equipment resources. 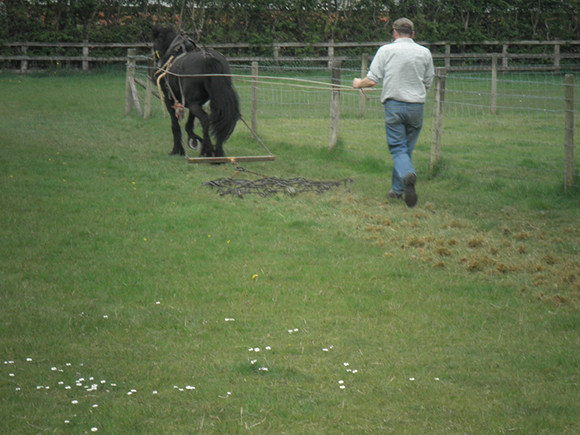 Above: A pony-powered chain harrow pulls moss out of a pasture. 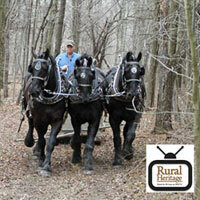 Eddie's friend John Fishwick takes a turn working Bess. 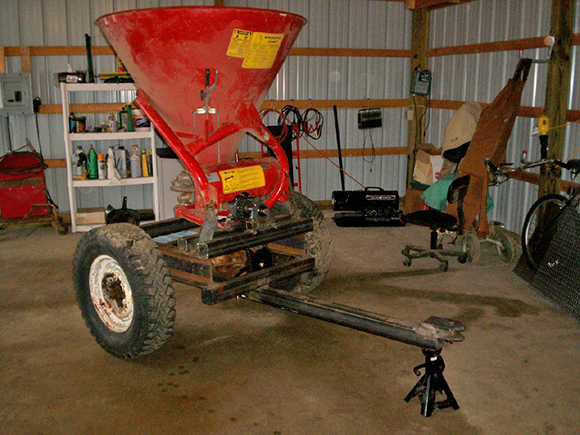 Above: A do-it-yourself fertilizer spreader built by Rural Heritage contributor Ralph Rice. This file last modified: July 02 2018.